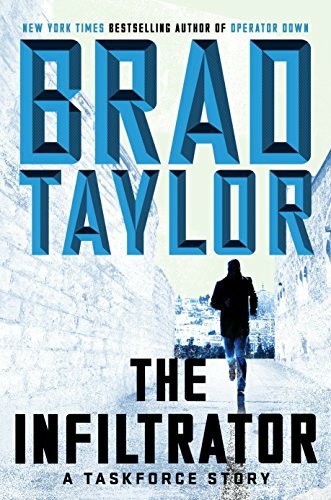 Retired Special Forces officer Brad Taylor’s thrilling new short story features Israeli operatives, Aaron and Shoshana, as the two wed at Jerusalem’s Western Wall amid a backdrop of turmoil and a new plot to attack the city’s holiest site. Taskforce operators Pike Logan and Jennifer Cahill are used to traveling all over the world for counterterrorist missions, but this time they’re in the Old City of Jerusalem under happier circumstances. Their friends Aaron and Shoshana, former operatives with Israeli Mossad, are getting married and they’ve chosen to tie the knot at the Western Wall of the Temple Mount. The holiest site in Judaism and the third holiest in Islam, the Temple Mount is a fault line between Jews and Muslims, the flash point for eons of strife–and it will still prove to be true today. Unbeknownst to them, a cell of Palestinian terrorists has planned an attack against innocent tourists to incite the Arab world to demand that Israel retreat from the holy site. But the terrorists don’t realize that they themselves are being played by an infiltrator with a subversive plot that will lead to the Arabs’ loss of control of the Temple Mount.